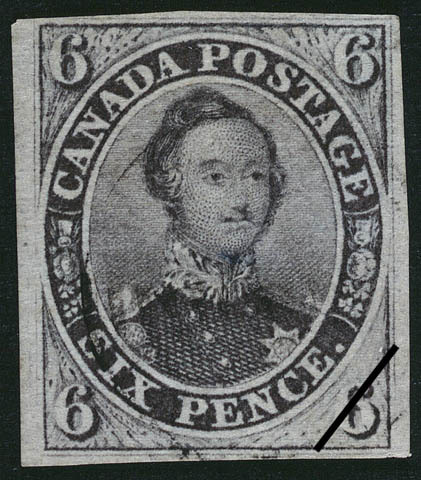 The value of a Prince Albert - 6 pence 1851 stamp depends on several factors such as quality and wear, supply and demand, rarity, finish and more. Values in the section are based on the market, trends, auctions and recognized books, publications and catalogs. This section also includes information on errors and varieties and characteristics. The first postage stamp issue of the Province of Canada featured the beaver on the 3-pence, H.R.H. Albert, husband of the queen, on the 6-pence denomination, and Queen Victoria on the 12-pence. These stamps were produced on laid paper without perforations. 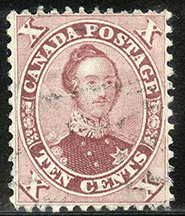 Rawdon, Wright, Hatch and Edison, the New York security printers, received the contract to print Canadian postage stamps, producing all the requirements until 1st May, 1858. On that day the company name changed, following amalgamation, to the American Bank Note Company with headquarters remaining in New York City. The new firm continued the former printing contract until Canadian Confederation in 1867.